If you’re engaged in a new construction project, you may be tempted to cut a few corners here and there by undertaking a portion of the project yourself. This can be especially tempting if you’re an avid do-it-yourselfer. When it comes to electrical wiring, however, you shouldn’t take chances. Why hire licensed Hartford electricians for your new construction wiring? The answers are self-apparent. In the first place, licensing protects both you and the electrician in case anything goes wrong. Licensing means that the electrician is bonded and insured in the event of an accident, meaning that they’re legally obligated to complete your construction in a legal manner and that the insurance company will cover damages in the event anything goes wrong. Considering the dangers involving electricity and the difficulty in wiring a new system, to hire any other sort of operator constitutes a huge risk. Beyond that, a licensed electrician can offer credentials that speak to his or her know-how. Licensing means passing tests that demonstrate one’s knowledge not only of electrical wiring, but of all the legal codes that entail electrical wiring, meaning that he or she can install it in a way that conforms to all safety rules and regulations. Not only does that make for a smoother, cleaner installation, but it provides assurances as to the safety of the final product that even the most skilled do-it-yourselfer would be hard-pressed to match. All of that comes on top of the simple fact that you can trust a licensed electrician to do the job while you focus your energies on any of the thousand other issues involved with a large construction problems. 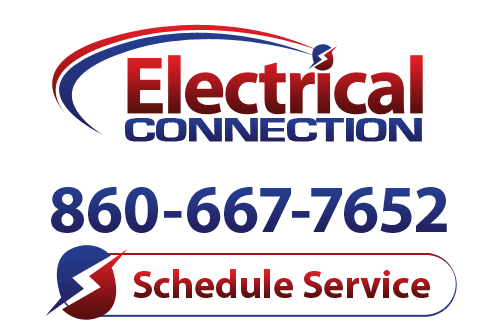 Here in Hartford, electrical services are provided by the experts at Electrical Connection, Inc. Give us a call today to set up a consultation, and let us show you what we can do!